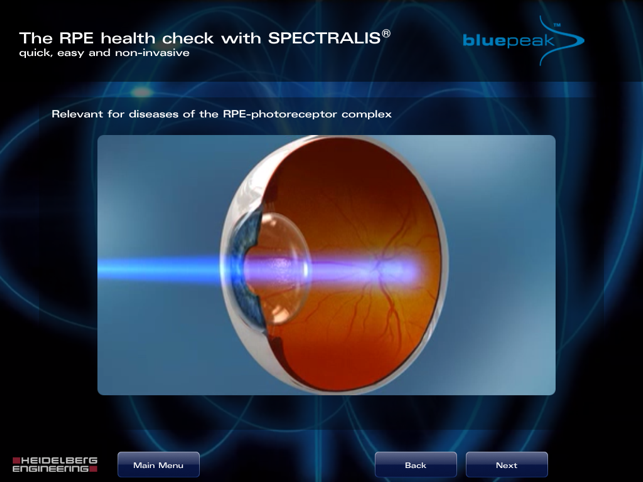 The BluePeak app by Heidelberg Engineering explains the noninvasive health check of the RPE. 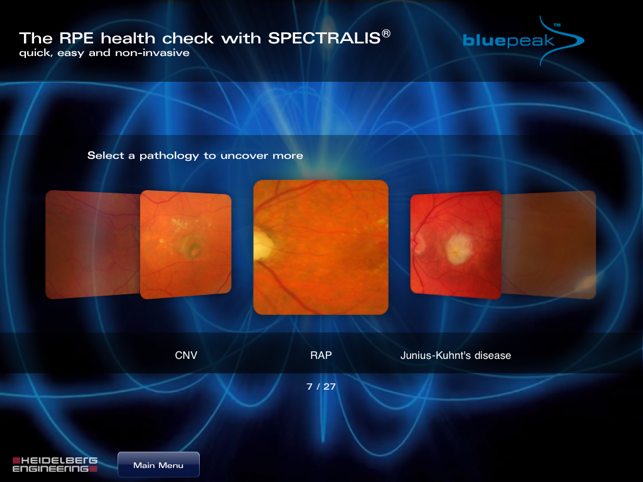 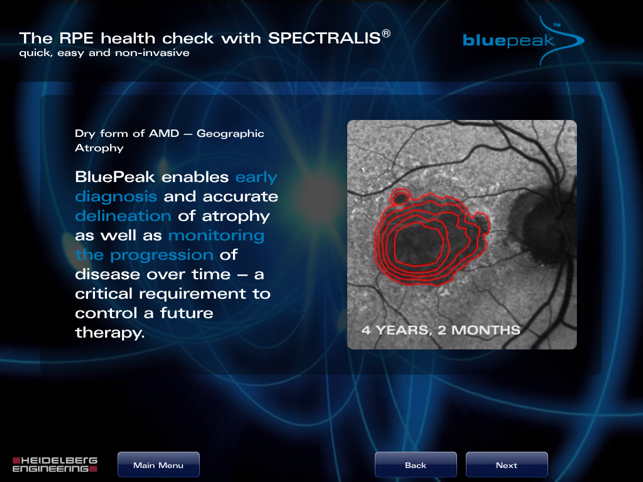 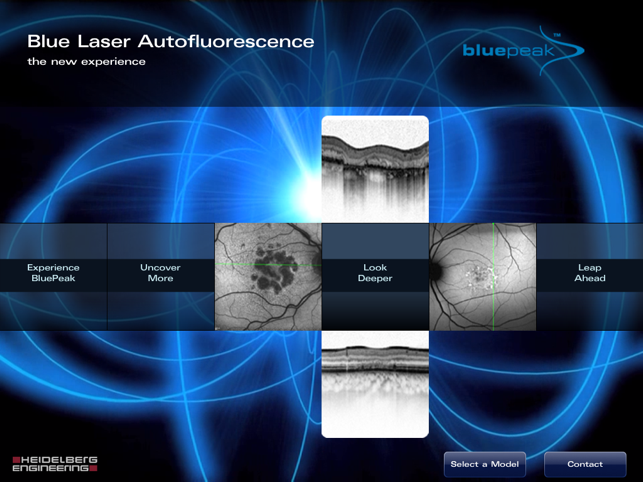 BluePeak assists in the diagnosis of numerous retinal diseases and helps to evaluate emerging treatments for dry AMD. 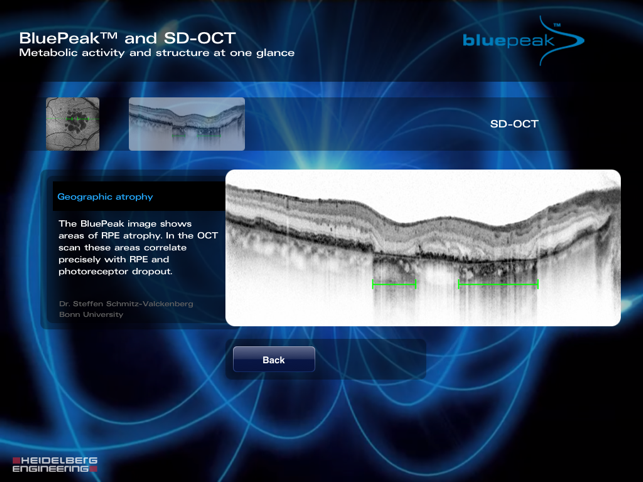 Combining BluePeak Blue Laser Autofluorescence with spectraldomain OCT provides a complete analysis of the structure-function relationship within the retina.